Install for 2000 Civic Si illustrated. Either cut off the 4 existing injector clips and connect the clips provided with RC's 440 cc injectors, or splice the RC clips into the existing wiring so that the stock injectors can be easily reverted to if necessary. Remove the relay mechanism that JR use on the air temperature sensor. This "tricks" the computer into thinking the air is at a very low temperature when on boost, which opens the injectors more to deliver more fuel. 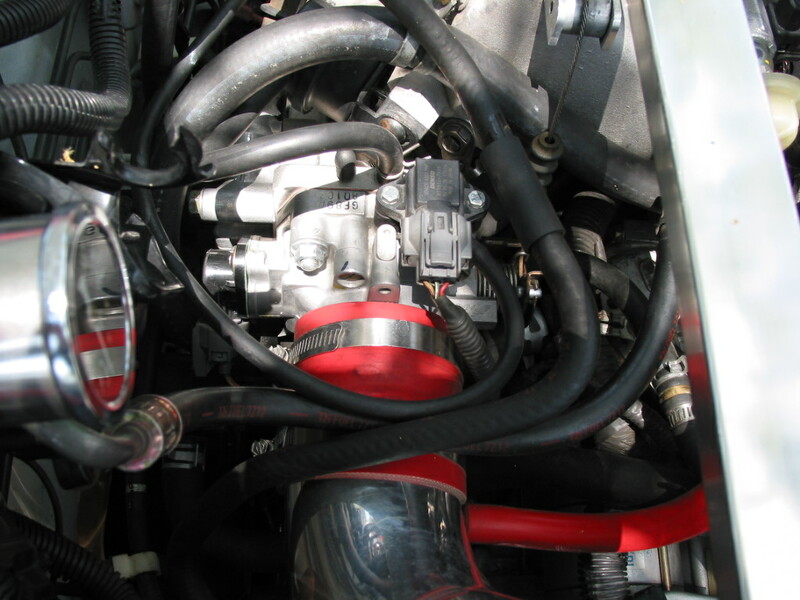 Remove the rising rate fuel regulator and either reinstall the stock regulator or a 1:1 rising rate regulator. The fuel pump actually flows less fuel at higher fuel pressure. See the fuel pump tech page for detailed info. 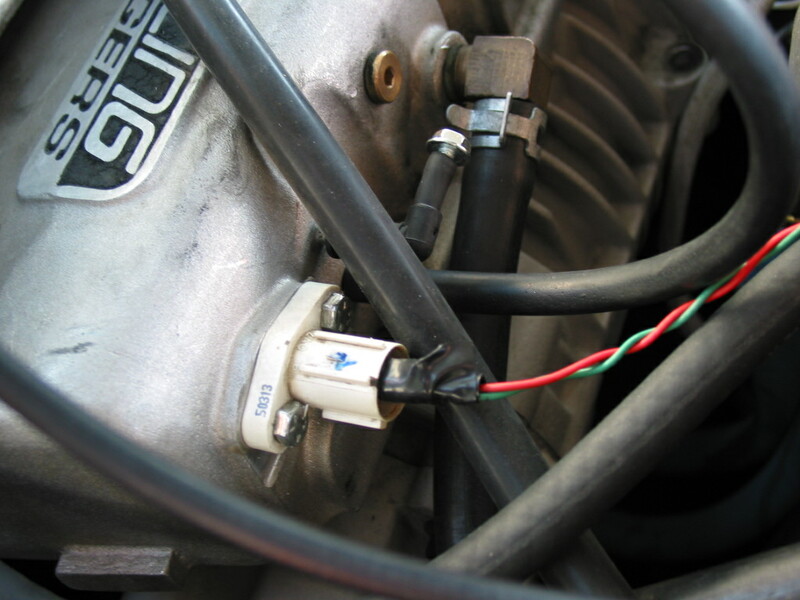 Install the map relocator on the throttle body where the map sensor was originally located. If this is not done, the map sensor will only see atmospheric pressure and will run dangerously lean. Remove any boost retard devices. The Hondata system will deliver the retard that is needed. 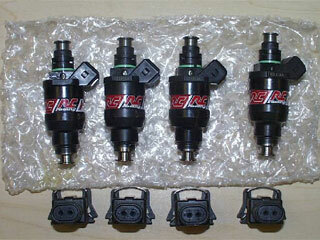 Install RC 440cc injectors. These are good for about 260 wheel HP at the stock fuel pressure of 40lb with the Jackson Racing feul pump. 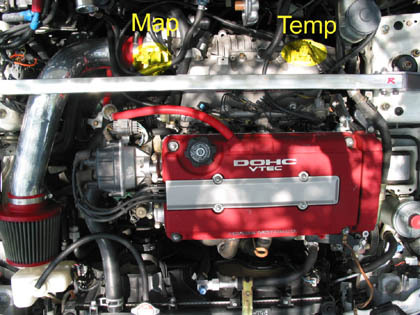 On early model Hondas the intake air temperature sensor is located here where it measures the temperature of the intake charge. In later model Hondas this location is left blank as the intake air temperature sensor is mounted between the throttle body and air filter. If the temperature sensor is left in that position it cannot compensate for increased intake temperatures and the car will run rich under boost. Purchase an OBD1 or OBD2 Integra intake air temperature sensor (about $50) and mount in the blower manifold. The OBD1 air temperature sensor is a variable resistor and can be wired onto the OBD2 wiring in any way. 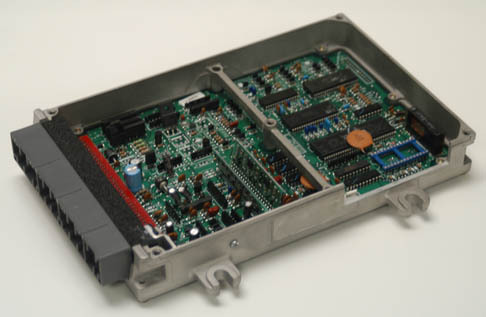 For the later model Civics the OBD I computer and adaptor cable despite its larger size can be installed to the old location. 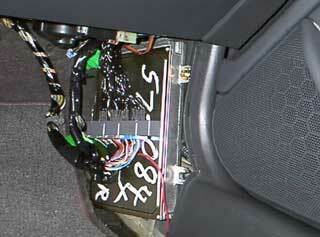 We also now offer OBD1 p28's with the adapter harness built in.